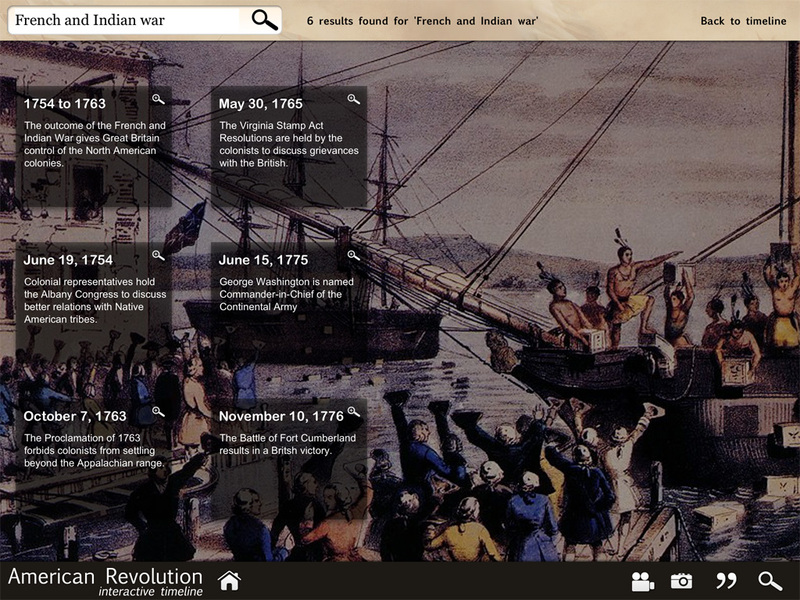 [prMac.com] Mumbai, India - Touchzing Media, an iOS app development company, is very happy to release its newest iPad app: American Revolution Interactive Timeline 1.0. 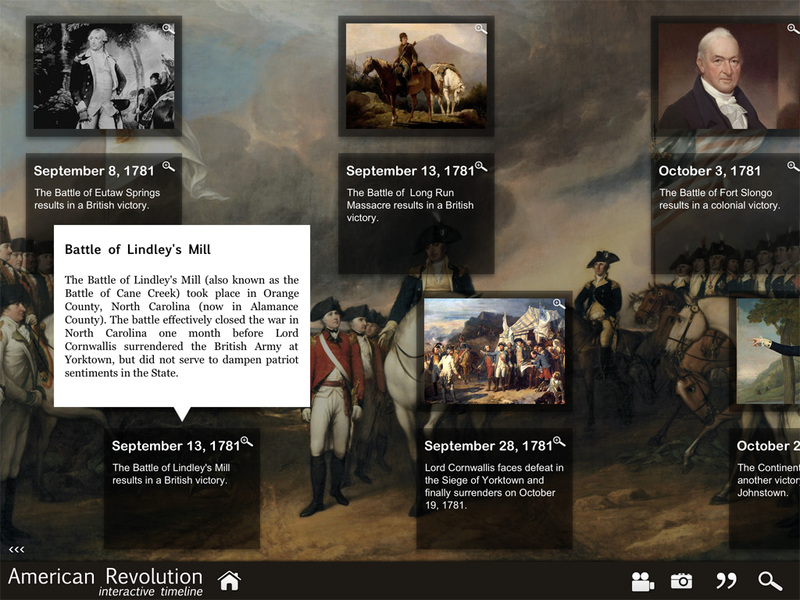 This app features a comprehensive timeline of the American Revolution and Revolutionary War from 1754 to 1789. With over 500+ images and articles, this app takes the reader through the events which led to the birth of the United States of America. The app is ideal for both students and history enthusiasts. After releasing iPad History apps like World War 1, Civil War, Abraham Lincoln and American History, Touchzing Media has focused this time on the American Revolutionary War. The app covers all the events which led to the war, the various battles, leaders of both sides, etc. The app is beautifully designed and very easy to use. One can just swipe back and forth to view the timeline. Various pop-up articles open for small events. Major events have been covered in more detail with images and paintings. The app covers all the events from 1754 to 1789 from the French and Indian War to the inauguration of George Washington. Topics covered include the French and Indian War, the Boston Tea Party, Battles of Lexington and Concord, Continental Congress, Battle of Quebec, Battle of Bunker Hill, Battle of Long Island, Declaration of Independence, Fort Ticonderoga, Oriskany, Saratoga, Cowpens, Chesapeake, Surrender of Cornwallis, Treaty of Paris, Evacuation day, the signing of the Constitution, First Presidential Election, etc. 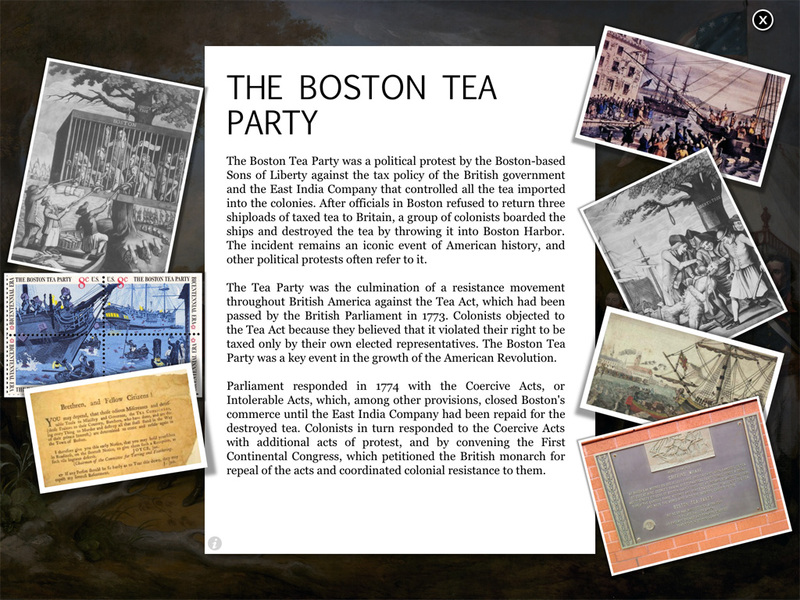 American Revolution Interactive Timeline 1.0 is $4.99 USD (or equivalent amount in other currencies) and available worldwide exclusively through the App Store in the Reference and Book categories. Touchzing Media was started in 2012 to develop educational coffee table apps for the iPad and other devices. Currently it is developing more apps on history. Copyright (C) 2013 Touchzing Media. All Rights Reserved. Apple, the Apple logo, iPhone, iPod and iPad are registered trademarks of Apple Inc. in the U.S. and/or other countries.